Chefs, food service personnel, security workers, and more spend plenty of time on their feet. If you’re one of them, you know it! When you need plain black uniform shoes with enough slip resistance to keep you safe, then you need these Fila Women’s 5SK26008 001 ... (see full details) (see specifications) #5SK26008-001. Chefs, food service personnel, security workers, and more spend plenty of time on their feet. If you’re one of them, you know it! When you need plain black uniform shoes with enough slip resistance to keep you safe, then you need these Fila Women’s 5SK26008 001 Fresh Start Black Work Shoes. 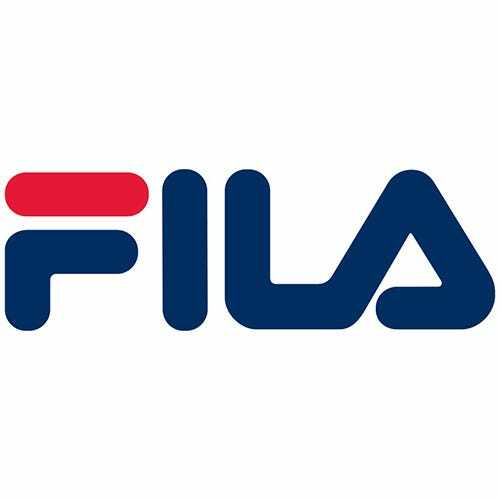 Fila knows comfort - for years they’ve developed it in their extensive lineup of athletic shoes for all needs. Now they’re taking that comfort to the work industry by adding extra durability and safety features to their work shoes. When you need safety, then you want to check out these durable slip-resistant shoes. The slip-resistant outsoles are made to meet ASTM F2913-11 standards for slip resistance, making them an ideal choice for those who need non-slip shoes for work. To keep it light on your feet and light on your wallet, Fila strategically placed the durable leather on the uppers in the highest-wear areas. This means your slip-resistant black shoes are durable enough to survive the work environment, but by adding the synthetic and mesh in non-wear locations, you have less leather and less weight. As an added bonus, this method adds breathability to your Fila shoes as well. The sturdy lacing systems and padded collars ensure a comfortable fit around your ankles with these low-cut black athletic shoes. The smooth black finish is food service and uniform approved will keep you compliant with your workplace uniform standards. You spend a lot of time on your feet, so make sure that time is spent in comfort. The memory foam footbeds inside these lightweight non-slip shoes conform to the contours of your feet and refresh this comfort with each step you take for a breathable, customized comfort that lasts. The air mesh bases promote this air flow and the foam insoles draw the fresh air underfoot for all around breathability. The molded EVA midsoles work like a suspension system for your feet, absorbing the shock of impact and the “bumps in the road,” so your feet feel less of it. This is the secret to the comfort of these athletic style Fresh Start shoes; they're lightweight and flexible, all while providing the support you need to prevent foot fatigue and give you back some of your stamina at the end of the day. The slip-resistant outsoles are made to meet ASTM F2913-11 standards for slip resistance, making them an ideal choice for those who need non-slip shoes for work. When it’s time to invest in women's slip-resistant shoes that meet workplace requirements, lighten your load for your feet and add safety toe your day with these Fila Women’s 5SK26008 001 Fresh Start Black Work Shoes from Working Person's Store. Fila Shoes: Women's 5SK26008 001 Slip-Resistant Fresh Start Black Work Shoes is being added to your cart.